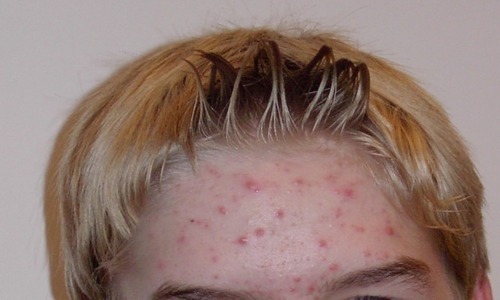 The acne problem is the most common skin issue. Almost everyone is suffering from it, but it is effecting the teenagers more than others. The primary cause of acne is mostly dirt and pollution. Similarly other include hormonal changes and improper skin care. To fight with acne problem, proper skin care is required and nothing is best than Aloe Vera for acne. Along with that improper diet also affects the skin and cause acne problem. Mostly if the diet contains high consumption of sugar and hydrogen oils, then it causes pimples and acne problem, so it is also essential for the cure of acne to take balance diet. People having acne always want the rapid, simple and efficient cure. Therefore it is recommended that always do cure of acne naturally because of two reasons one is it heals the acne problem in short time for long terms. Second, it does not affect the skin. In the study of the natural acne treatment, it is found that Aloe Vera is one of the best natural curing agents because it contains the ability to killing acne causing harmful bacteria. It is highly effective for the treatment of acne. Now here is a point which should be considered is that the use of Aloe Vera with different products makes it more efficient remedy, but the take care of skin type should always consider. Everyone has different skin type so they should consider the best-using combination of Aloe Vera with various products with really suitable for the skin type and not harmful for them. In this article, we will discuss the different methods of using Aloe Vera with various products so you can use any of these remedies just suitable for you to Cure your acne problem. The simple use of Aloe Vera is also beneficial for curing the acne as it contains antibacterial agents which help in killing harmful bacteria of acne. The use of this remedy is simple. Just take aloe Vera extract from the aloe Vera plant and apply it on your affected areas. Before using the mask make sure that skin is dry and clean. Use this overnight and in the morning wash the face with cool and fresh water. If you don’t have Aloe Vera plant, you can also use Aloe Vera Gel for acne scar or juice for this remedy. With regular use, it provides you with the best results. Moreover, Aloe Vera for pimples and dark spots is best. Another alternative method which can be used to cure acne with Aloe Vera is to take water and blend the gel of Aloe Vera with it and, then apply it on your face with the cotton on the acne affected areas. Aloe Vera and lemon are both skin friendly agent and these fight with acne in the best way, so the combination of Aloe Vera and lemon not only provide you acne treatment but also provide you to have a bright skin. The method is easy and fast. Just take Aloe Vera gel or juice and then add few drops of lemon juice into it. Mix this well and then apply it overnight on your skin then wash the face with the lukewarm water. You can add the water in the masking paste if you have sensitive skin. After treatment using oil free lotion. Repeat it daily to enjoy the best results. Take one egg and use its white part mix it with aloe Vera and few drops of lemon juice into it. Apply the mask overnight and then risen off it in the morning with warm water. Use this daily and along with that use oil free moisturizer. From the home remedies for acne, Aloe Vera, Sugar and milk combination also provide the acne free skin. These kill the harmful bacteria and provide the acne free skin. Use of Aloe Vera with sugar and milk provide skin a smooth texture. The method of using this remedy is effective, fast and easy. Take 1 tablespoon of milk and add ½ tablespoon of sugar in it. Dissolve the sugar into the milk and then add aloe Vera gel or juice which is readily available. Mix all these ingredients well, and then apply the mask on face and leave it for 10 to 15 minutes then risen the face with the help of warm water and repeat this remedy daily until you get the best results. The primary cause of acne includes the oily nature of the skin. However, for that purpose, the use of Candela texture with aloe vera is the best combination. The method is easy to apply and test. Take 1 table spoon of calendula tincture and mix it with 3-4 tablespoon of aloe Vera gel. Implementing the mask on face leave it for five minutes then risen of the face with the help of warm water. For the quality, results repeat it daily because this treatment helps in closing the pores with reducing the acne. The use of Aloe Vera with glycerol is also very efficient same as the usage of tea tree oil. The remedy of this is perfectly adequate. Take the aloe Vera pulp or juice and along mix glycerol and oatmeal and mix all these ingredients well. Then apply the mask on the affected areas of the face and then leave it for 5 five minutes. Wash the face with regular tap water repeat this remedy daily for best results. Moreover, Putting Aloe Vera on face overnight can give you great results. Aloe Vera works well with cosmetic clay. You can use any one either white or pink. Mix the aloe Vera gel or juice into it and then apply it on your skin. Give a massage to it for 3-4 minutes and then leave it for 20 minutes. Wash the face with warm water. Repeat this remedy for the best results. Tea tree oil and aloe Vera both is the anti-bacterial in nature and help in killing the harmful bacteria. The combination of Aloe Vera with tea tree oil will assist in getting rid of the acne problem. The use of this is simple. Just add little few drops of tea tree oil in the aloe Vera gel and then mix them well. Now Apply it perfectly on the acne affected area and dab on skin. Leave this for 5 to 10 minutes and then wash the face with lukewarm water. Repeat this treatment daily for the quality results. Apple cider vinegar is also considered as the best acne curing remedy. The process of application of Apple cider vinegar with Aloe Vera is effective, fast and give good results. Add the very little amount of the apple cider vinegar in one tablespoon of aloe Vera gel and then apply it on the face. Leave it for 10 to 20 minutes. Then wash the face with the help of Luke warm water. For the best results use this remedy daily. The acne curing toner is prepared with a combination of Aloe Vera and the green tea. Green tea has antioxidants that helpful in killing the acne causing bacteria the process is so simple. Boil 2 cups of water and then pour it into the separate bowl. Add two to three tea bags into it and then add aloe Vera gel into the same bowl. Put the solution in a spray bottle and wash the face with this solution daily. 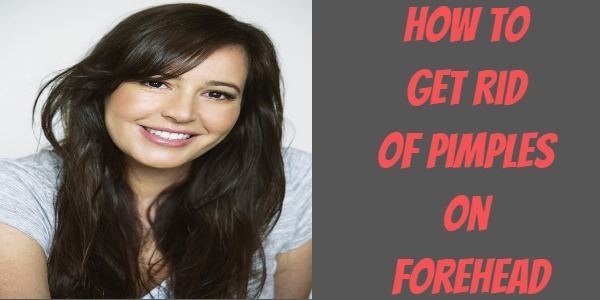 This will helps you to get rid of acne and prevent you from acne for long terms. Garlic is also used to lessen the acne problem. With the combination of aloe Vera garlic works well to treat the acne. The use of garlic with Aloe Vera is easy. Just take 3 cloves of garlic and grind them well. Add the aloe Vera gel into it along with this add some garlic juice into it and then mix them. With cotton ball apply the paste on your face and then leave it for 20 minutes then risen the face with Luke warm water. For the best results use this remedy daily. Cinnamon provides best results for acne treatment because it’s an ancient method to cure the acne problem. Its combination works well with Aloe Vera. The process is simple. To make the mask take 1 table spoon of aloe Vera gel. Along with this add 1 tablespoon of honey and add 1 pinch of cinnamon powder. Mix them well and then apply it on your face. Give massage for 3-4 minutes and leave it for 20 minutes then wash the face with Luke warm water. Repeat this daily to get the best result. Turmeric is an excellent anti-inflammatory agent; you can use this with Aloe Vera for the acne treatment. The process of using this is so simple. Takes 1-3 tablespoon of aloe Vera gel, ½ tablespoon of turmeric powder and then add 1 table spoon of the gram powder. Mix all these ingredients well and then apply the paste on your face leave it for 20 minutes and then risen the face with Luke warm water. 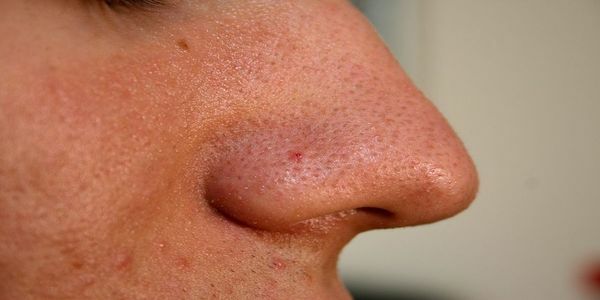 For the quality results use this remedy daily until you get rid of this acne problem. Cabbage is a very best ingredient for skin, and it works well with the combination of Aloe Vera. it contains sulfur, so it is good for the acne treatment. The method of using it fast and bring the results. Just blend cabbage with the use of water and make a paste. Add 1-3 tablespoon of aloe Vera gel into it and then mix them well. Apply on the affected part of the skin and leave it there for 20-25 minutes then wash the face with the Luke warm water, for the quality results repeat this remedy daily, with the regular use of the short time you will get rid of acne completely. Neem is antiseptic in nature, and it is helpful in curing the acne. The combination of neem powder with Aloe Vera and honey is helpful in healing the acne. 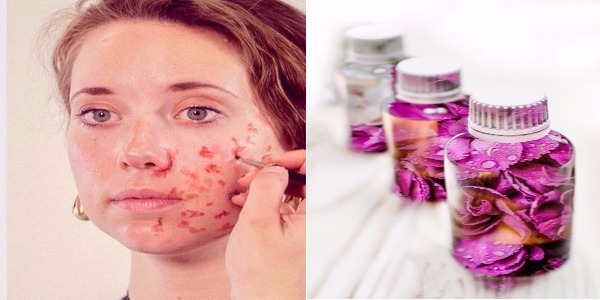 This method is perfect for severe acne skin. Just add 1 tablespoon of aloe Vera gel in the 1 table spoon of neem powder and honey mix these materials well and apply them on the face for 20 minutes then wash the face with Luke warm water, you with surely get the best results. Use of Aloe Vera with walnut is so effective for curing the acne just make the fine powder of walnut and then mix aloe Vera gel into it then apply it on face leave it for 20-25 minutes, then wash the face with regular tap water. In short, Aloe Vera for skin is the perfect remedy. Nothing can be more effected than using Aloe Vera. Its ingredients are worthy for the acne affected skin. So when you are going to apply the aloe Vera?